Want to work with me? 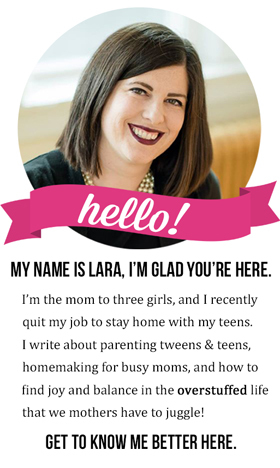 Please contact me at lara@overstuffedlife.com and let's see if we are a good fit for each other. All photos and text on www.overstuffedlife.com are the sole property of Lara Neves and may not be reposted elsewhere. However, I welcome linking back to this content. You may use one or two photos as long as you link back to the specific post on www.overstuffedlife.com. Please do not remove the watermark or alter the photos in any way.